I have been working on Smaug between other projects for a month now and I have been excited to show you the finished project. 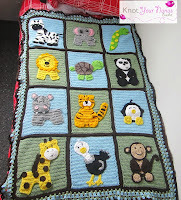 The pattern is well written and full of detail. There is a photo for every step so you really can't go wrong. 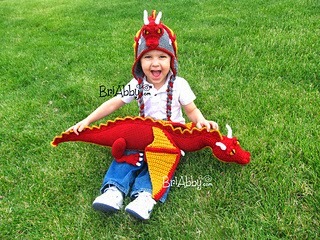 My Smaug was made with a 3.00 mm crochet hook and 8 ply/dk yarn, Moda Vera Marvel. He is the same size as my 4 year old. To be exact he measures 124 cm from nose to tail. 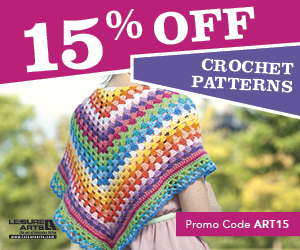 The original pattern which is written for a 4 ply yarn measures 65 cm from nose to tail. He was going to have a place on my bed but I think he is just a smidgen to big for this now so we are planning on hanging him from the roof to look like he is flying. If making all motifs in the same colours I would suggest marking one foot so you do not get confused to which motif you are joining at the time. I marked the front right foot which allowed me to keep track of where I was. I made all the body motifs up to round 4 first so when it came to joining it was simple just to pick up a motif and join it as I went. Heidi has great instructions for this. 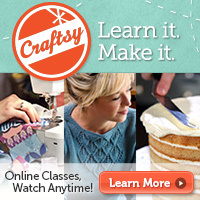 I had never used the join as you go method for anything before and I picked it up fast. When making the wings because I decided to use a solid colour I did each motif while joining so I didn't have extra ends to weave in. 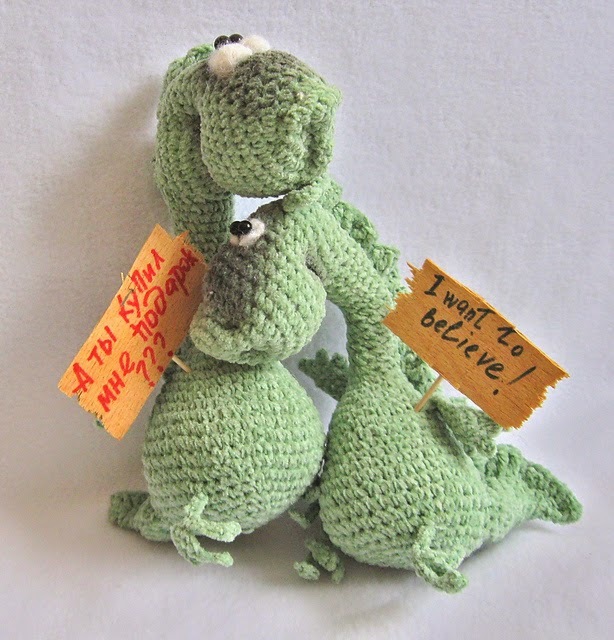 Because my Smaug is bigger than recommended I had to find some way to hold my wings out. Since Smaug is for me I decided to put wire right through the body and into each wing to hold them out. I wrapped each end of the wire in tape so it won't poke through the stitches or accidentally stab my children if they decide to play with it. I would not choose this method if my kids were going to be playing with it. 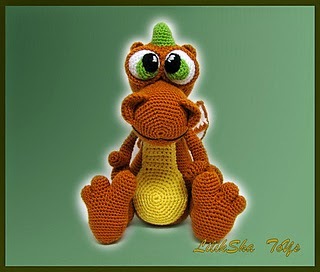 Just for something a little extra I have compiled a roundup of dragon crochet patterns. 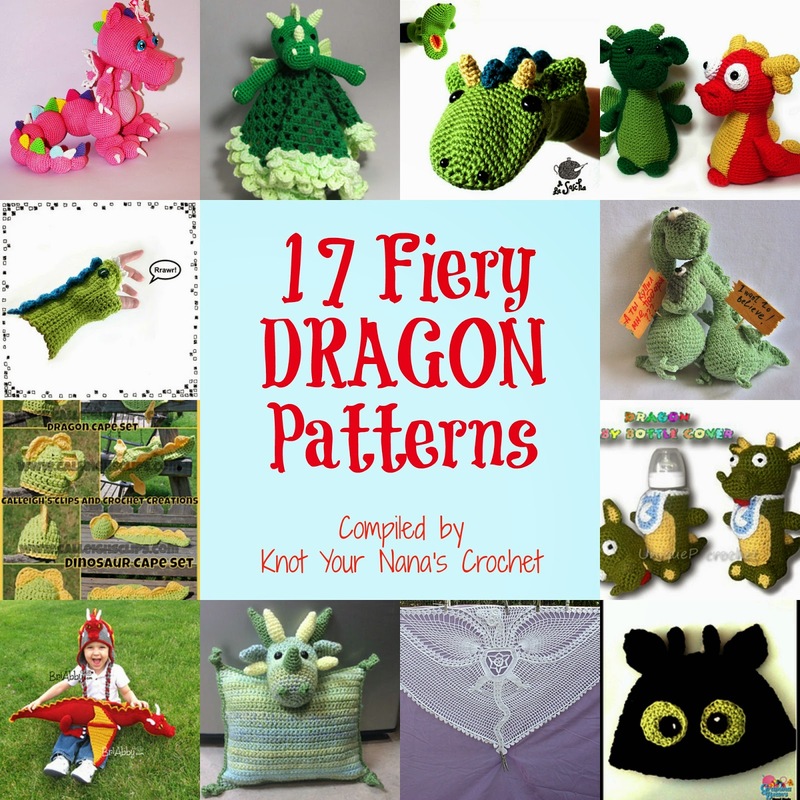 Some great ones to choose from if you are not ready to attempt your own Smaug. 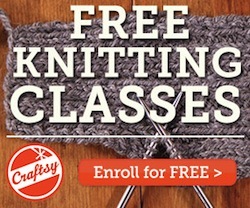 There are four free patterns at the end. 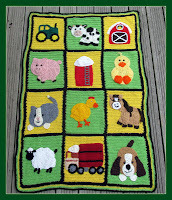 I will be adding to the patterns as I find them so may end up with more than 17 patterns to choose from. 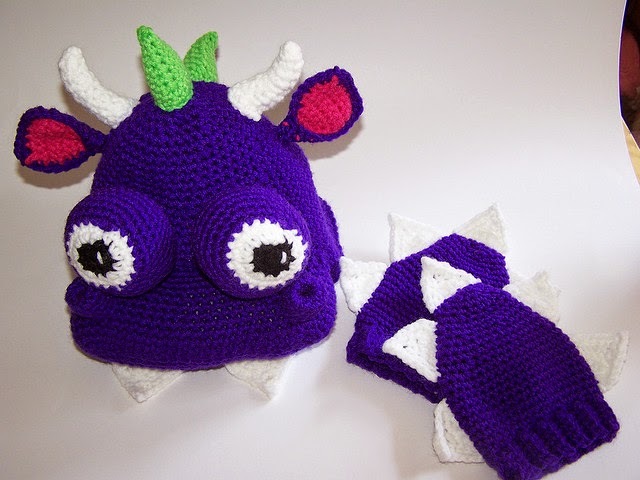 How cute is this hat and mittens set from Mama's Creations. 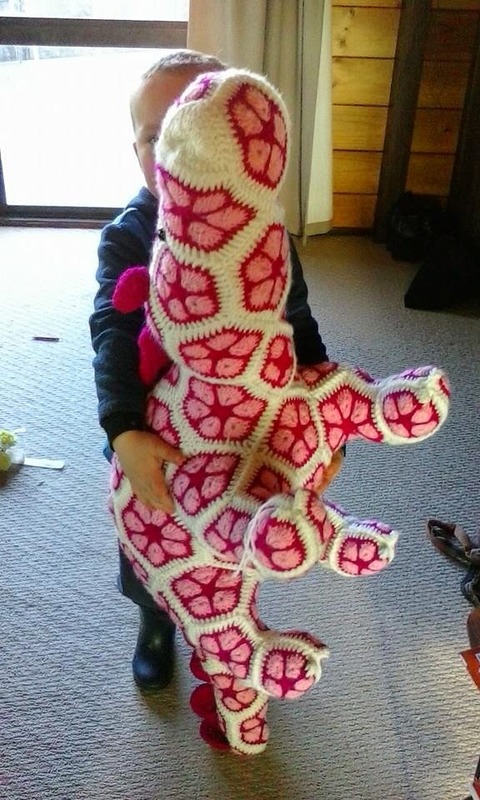 Pattern should fit 2-4 year olds. 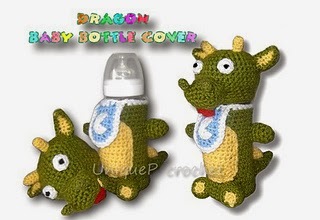 Another great dragon themed design. If you think the front is impressive wait until you see the back! 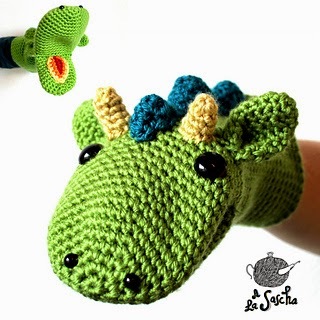 Laila Siade has some great designs but this dragon just takes the cake. I love the detail she has put into it. 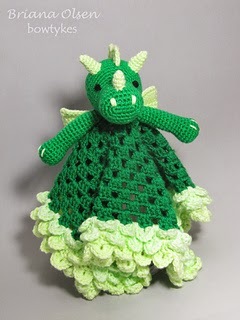 She also has another dragon softie pattern which you will find in her Ravelry store along with this one. 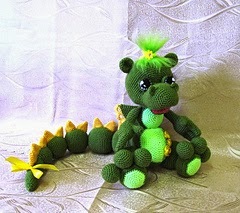 Dragon Draco Amigurumi's are said to bring good luck. I am sure we all need some of that. 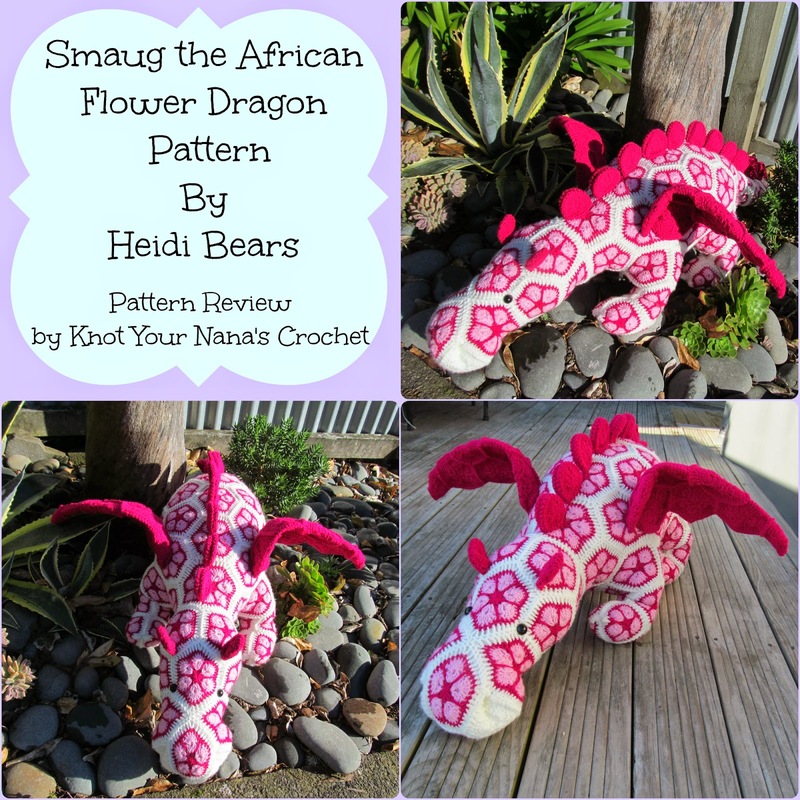 This is not your usual dragon pattern at all. 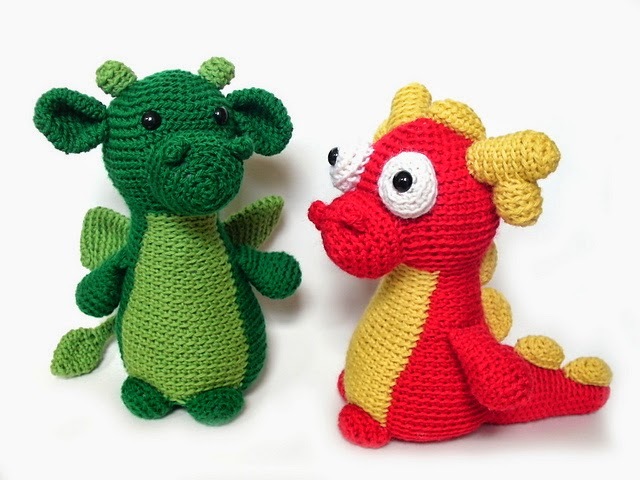 Stacey Trock from Fresh Stitches has created a pattern which allows you to decide how you want your dragon to look. 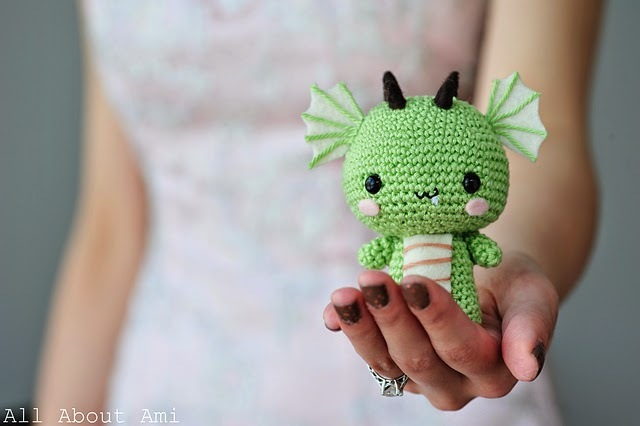 Of course we had to have one famous dragon in this roundup. 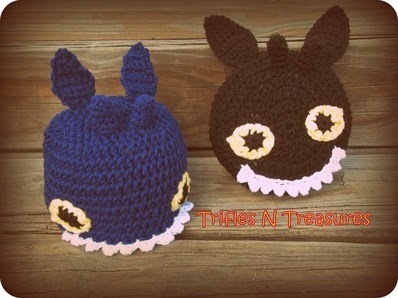 Toothless! 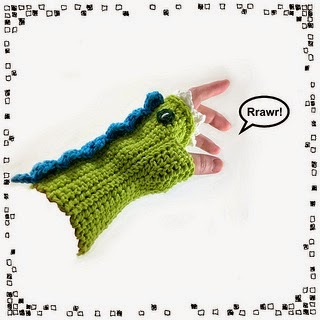 These dragon mitts are sure to keep your hands warm. 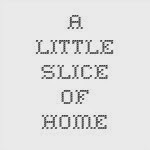 Okay now this is just adorable and definitely has character. 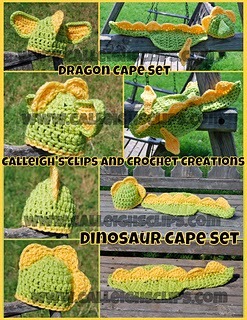 Calleigh's Clips and Crochet Creations is the go to for props and she has done an awesome job with this set. 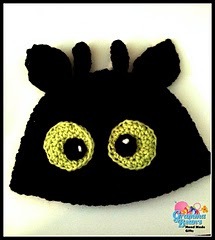 Night Fury Hat and Pillow Pattern from Trifles and Treasures. What a great combination. I am sure kids would love this. I could do with one of these myself. 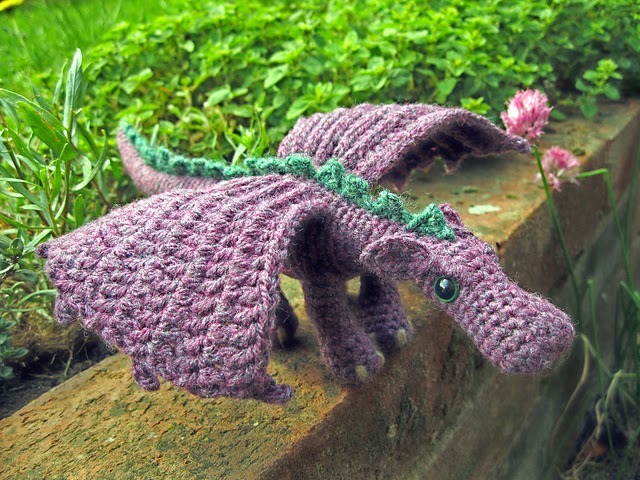 A dragon scarf. I was just looking at Smaug 12 hours ago! What a fantastic job and I love the colours you chose. 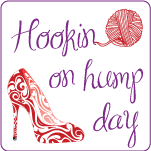 The only question I have is how many motifs did you have to make? Thank you, there are 128 in total. 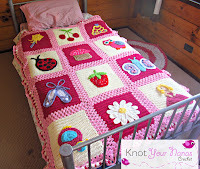 where is the link for the pattern for the pink one at the top left of the page?